Steve Jobs famously spoke about a ‘post-pc’ era and even though we still rely heavily on our desktops and notebooks, there’s no denying that the humble iPad could serve as the only computing device for a user who doesn’t need the processing power of a PC. Apple prides themselves in building beautiful products and every time an Apple laptop/iOS device/unicorn/product lands in my hand, the very next port of call would be to scourge the interwebs for a suitable case to protect my new toy in. 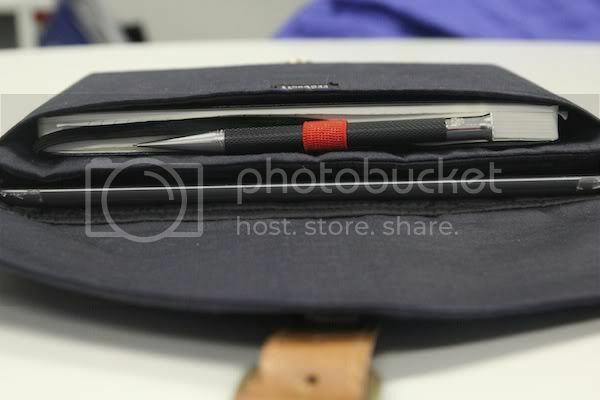 Recently, iPad case makers seem to be flooding the market with “folio” style cases that usually includes a keyboard for users who want a better typing experience on their iPads. These cases don’t really work well for people like me who use my iPad merely as a media consumption device. What I really want is a simple no frills case that doesn’t add too much bulk, provide adequate protection and look stylish at the same time. 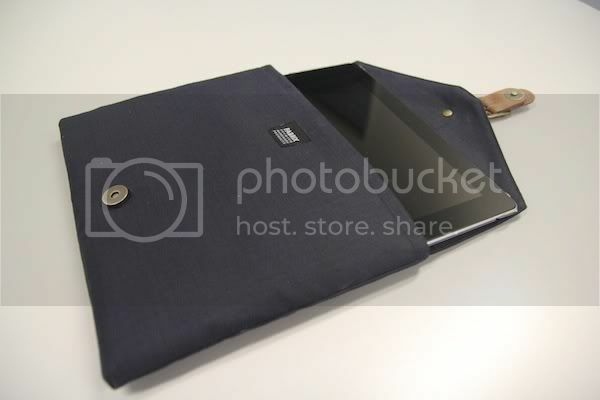 The kind folks at GearZap seem to know the innate hipster beneath my geeky Asian surface and sent me Fabrix’s Folder Case for the iPad to review and I’m pleasantly surprised at how much I like this case. 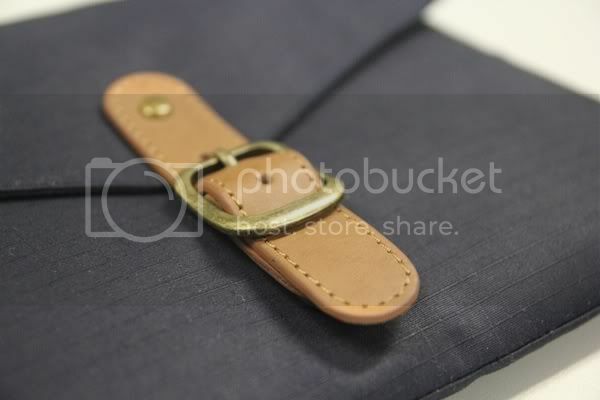 The exterior of the case is made out of a stylish navy fabric that’s soft to the touch. The front and back of the case is extremely well padded without adding too much bulk and fits in my messenger bag without fuss. The classy design also means that it wouldn’t look too out of place if you prefer to carry the case around instead of chucking it into a bag. Personally, I thought the buckle was a nice touch and really liked it when I first got the case. 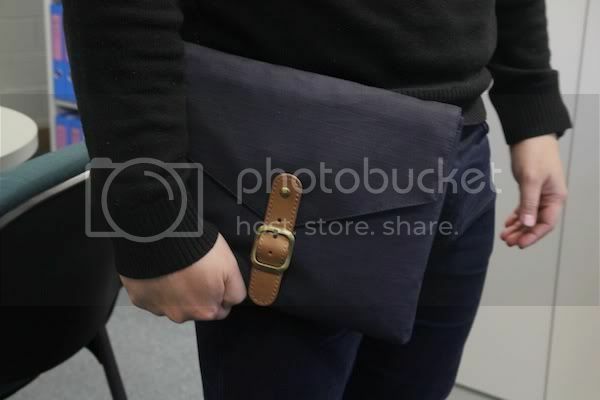 But it got annoying very quickly when I had to undo the buckle every time I want to get my iPad out or into the case. It wasn’t until about a week after using the case that a co-worker who was admiring it told me that I could use the magnetic button hidden beneath the buckle to gain faster to the case’s compartments. Cue self loathing cursing for the next 10 minutes after the discovery. 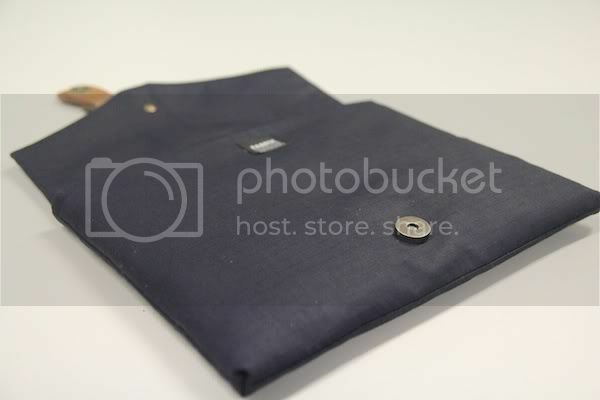 The sides of the magnetic button is very well sewn into the fabric and looked like it could stand up to rigour usage from opening and closing the flap without tearing. The case has two spacey pockets. The larger one fits the iPad 2 and new iPad with space to spare and a first generation iPad was a snug fit. 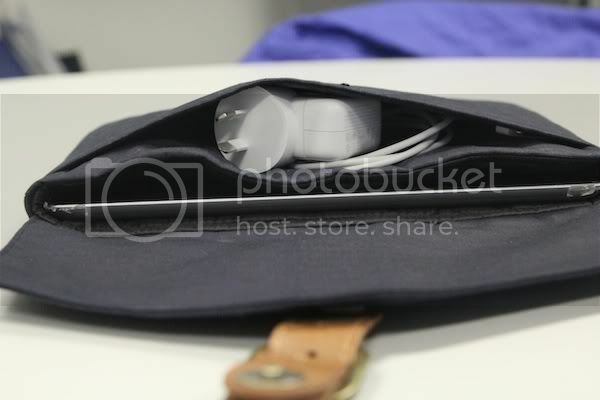 Fabrix provided a second pocket which is handy for storing items like stationary, a small notebook or the iPad wall charger. 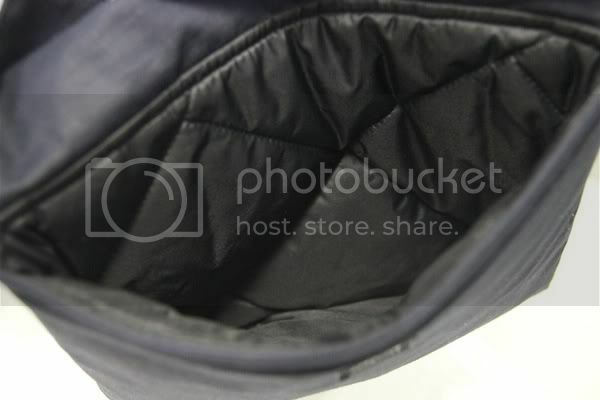 The interior of the case is made out of a black soft plastic like material which reminds me of the inside of a winter jacket. The case rustles quite a bit against my iPad when I carry it around. Even though there is no chance of the material in the case scratching my iPad, I would have preferred it if they made the interior out of felt or suede material that we see in so many other cases. All of Fabrix cases are hand sewn and the quality of the product for its price is evident when you hold it in your hands. GearZap is selling it for £29.95 on their website (they ship to Australia!) 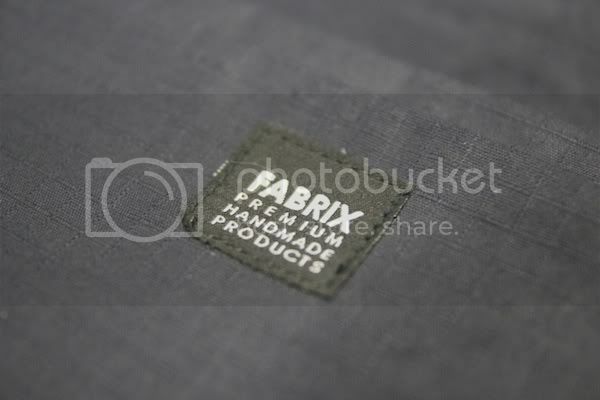 and the product retails for USD$49 on Fabrix’s website. 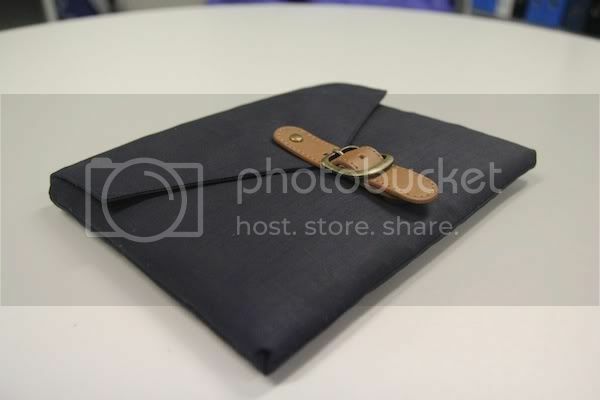 If you’re like me and am sick of the countless leather folio cases for your iPad in the market today, Fabrix’s Folder Case for the iPad provides a stylish yet functional alternative. Alvin is an ovo-lacto vegetarian, Apple fanboy, social media whore, programming aficionado, photography zealot and Manchester United fan. All opinions voiced by Alvin are his and his only and does not reflect the views of his loving parents or employer, Monash University. He is not a web or Twitter troll.